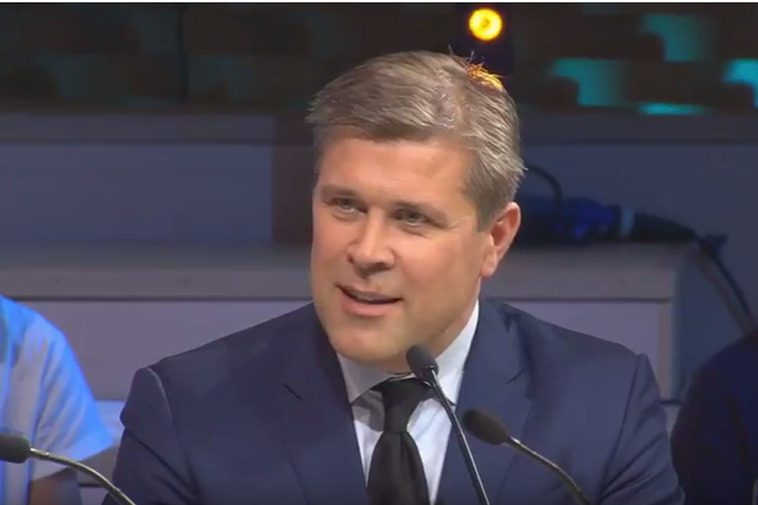 Icelandic Prime Minister Bjarni Benediktsson spoke at the Global Positivity Forum on Iceland championning the 2017 Positivity Index of Nations. Benediktsson spoke of how Iceland had come from being the poorest country in Europe some 100 years ago to working towards utilising its natural resources on a sustainable level. "Almost all electricity for Icelandic households is renewable energy." He also speaks about the financial crisis in 2008 and how it taught his generation a lot about thinking longterm.